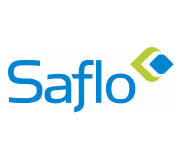 Infutech are pleased to present the first of the new Saflo™ range of products designed specifically for use in a wide range of subcutaneous infusion applications. The products in this range have been created following extensive work with practitioners in this area to meet their daily requirements. 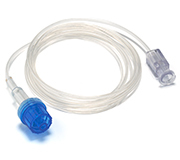 Due to the close links with the manufacturer of this range of infusion sets we are able to make customised product where special requirements can be identified. Very low priming volumes: less that 0.2mL per set. 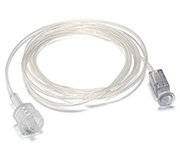 Tri-layer tubing construction using DEHP free PVC for a soft outer layer for comfort, with a polyethyline inner layer for maximum drug compatibility. Available as standard product or with an anti-siphon valve.